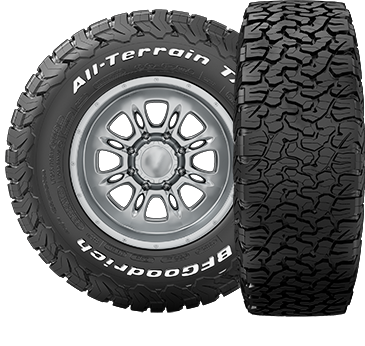 Get ready for the toughest all-terrain tire ever; the BF Goodrich All-Terrain T/A KO2 tire. If you like to tear it up off-road, this is the tire for you. Compared to its predecessor, the T/A KO2 delivers twice the tread-life on gravel roads (15% more on paved roads), 10% better traction in mud, and nearly 20% better traction in snow. And that means that the T/A KO2 is ready to take on...well, just about any challenge you can dream up. So what's on your list?